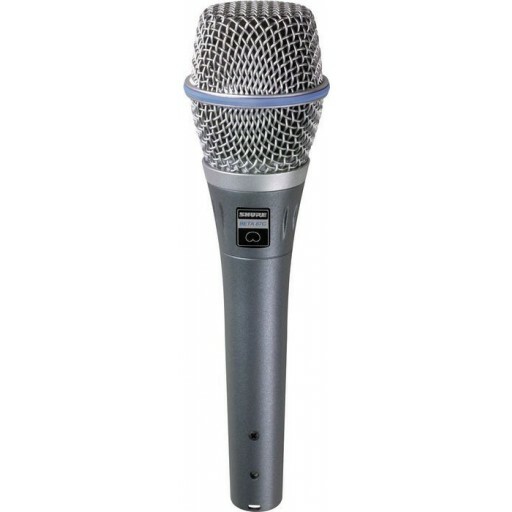 The Shure Beta 87C Condenser Microphone features the same superb accuracy, detail, and rich vocal production and its uniform cardioid polar pattern effectively rejects unwanted sounds. It also offers minimal off-axis tone coloration. A low-frequency roll-off compensates for proximity effect. A 3-stage pop filter minimizes breath noise. Frequency response: 50Hz-20kHz.